Mother’s Day has been celebrated all over the world, at different times of the year, throughout history. It’s a time to show our appreciation for the women who care for us tirelessly and unconditionally every day. Every culture has its own unique traditions, from singing songs to cooking elaborate feasts to wearing and giving flowers as gifts. And here at buildOn, we wish every mother around the world the thing she wants above all else—the ability to give her child a better life than she may have had. Two-thirds of the world’s 775 million illiterate adults are women. Without an education, many young women and girls cannot support themselves and are forced to marry young. In turn, up to half of all girls in developing countries become mothers before their 18th birthday, and are caught in a cycle of illiteracy and dependency on men for generations. (Above) Mothers who are educated, like this woman in a buildOn partner community in Haiti, are better able to support their children financially, have healthier families, and can assist their children with school lessons. As a student in buildOn’s Adult Literacy Program, Sanata gained more than the education she always wanted—she gained her independence and ability to provide for herself and her daughters. “Thanks to the program, I am now more independent,” she said. Through the Adult Literacy Program, mothers like Sanata who have been denied education growing up can finally gain skills in reading, writing, and numeracy. Through literacy, these mothers have the opportunity and ability, often for the first time in their lives, to learn about poverty, health, disease, and injustice. As a result, they’re more motivated to pursue economic independence through income-generating initiatives such as beekeeping, baking, and farming. With this comes the confidence and financial ability to support their children’s pursuits of education and opportunity. And so a new cycle is born. With her newfound literacy skills, Sanata sells spices, salt, oil, millet, and shea butter at a nearby weekly market. She can now accurately keep records and extend credit to her customers which has helped increase her profits. But perhaps her greatest achievement came when she helped physically build the buildOn school in her village, giving her daughters the gift of knowledge, and ultimately, the kind of liberty she worked so hard to attain. buildOn encourages women like Sanata to take an active role in construction, stepping out of traditional gender roles to serve their communities. Recent studies have revealed that the difference between a literate and illiterate mother is more than a lack of opportunity—it’s a matter of life and death. Educated mothers have a better understanding of disease prevention such as vaccines and mosquito nets, and they’re more likely to use them. They’re more likely to seek medical care when their children are ill, and they’re more equipped to read and follow the directions on their children’s medication. Clean water and sanitation are a priority for educated mothers because they understand that their lives—and the lives of their family—depend on it. 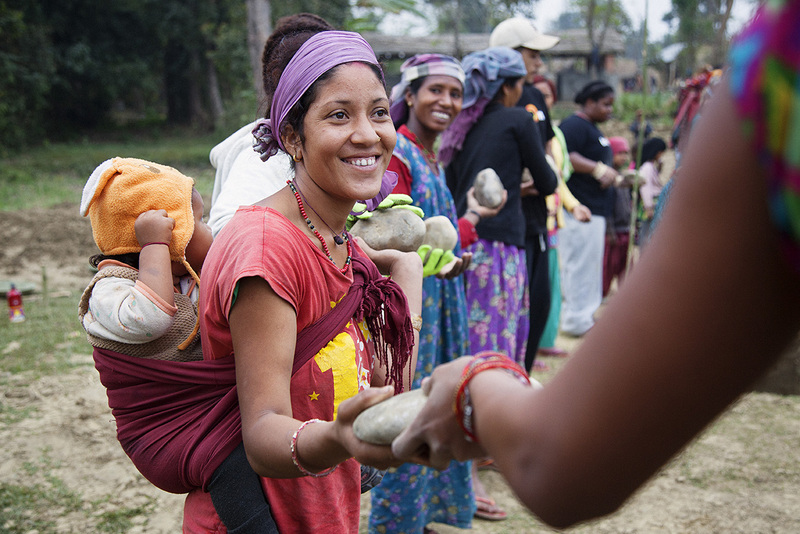 (Above) buildOn encourages women to take an active role in school construction, and even mothers with young children find a way to help, like this mom helping build a school in Nepal. buildOn is committed to addressing the undeniable link between gender inequality, poverty, and illiteracy. And one of the most powerful ways to do this is by ending gender discrimination in the classroom. Before buildOn partners with a community to break ground on a new school, each community member signs the buildOn Covenant, pledging commitment to gender equality in project leadership, school construction, and education of their children. With new buildOn schools in these communities, mothers and their children have a path out of poverty through education. 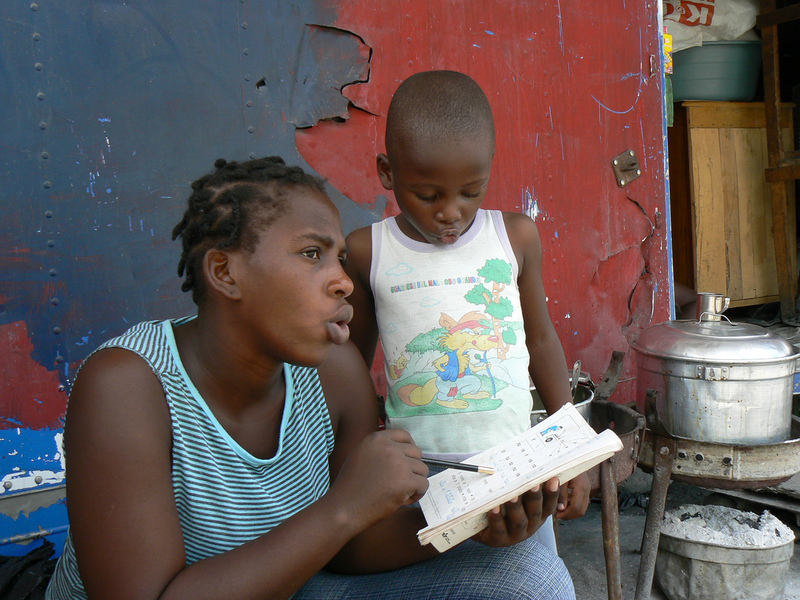 Like Sanata, Verose was denied an education when she was growing up in La Glace, Haiti. She had dreams of becoming a dressmaker, but instead, was forced to help manage her family’s farm. Eventually, like most girls in Haiti, she became a wife and a mother and once again found herself confined to household work. Then, at 48-years-old, she decided to leave her husband and pursue a better life for herself and her children. Verose’s son and daughter now attend the buildOn school in their village, and she is finally pursuing her own education through the Adult Literacy Program four nights a week. She even served on buildOn’s Project Leadership Committee and helped build a second school in their village. 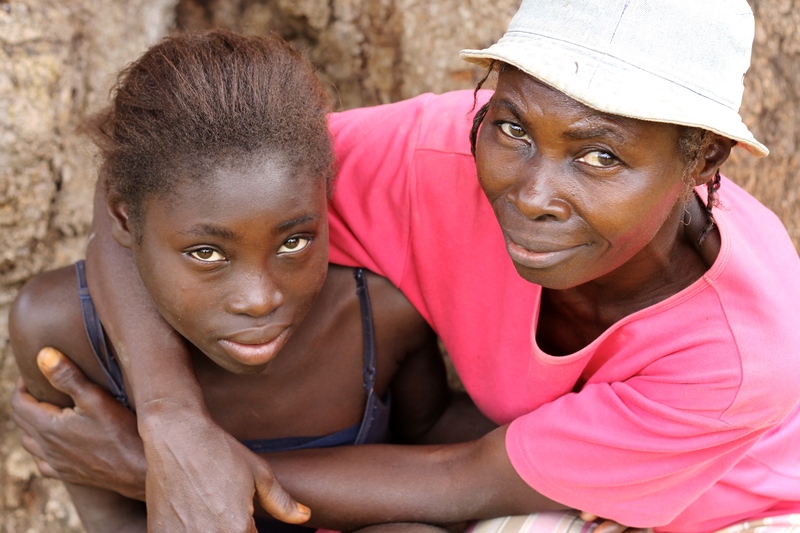 (Above) Verose from Haiti (shown here with her daughter) helped construct a school in her community, served on the Project Leadership Committee, and attended Adult Literacy Classes. “Now that I am beginning to read and write, I am realizing my potential as a leader,” said Verose. “I want to ensure that no children in our village have to miss out on their dreams.” And while she knows all too well the injustices that girls face, she is passionate about giving her daughter and son the education she always wanted growing up. To help us break the cycle of poverty, illiteracy, and low expectations for mothers all over the world, click here. 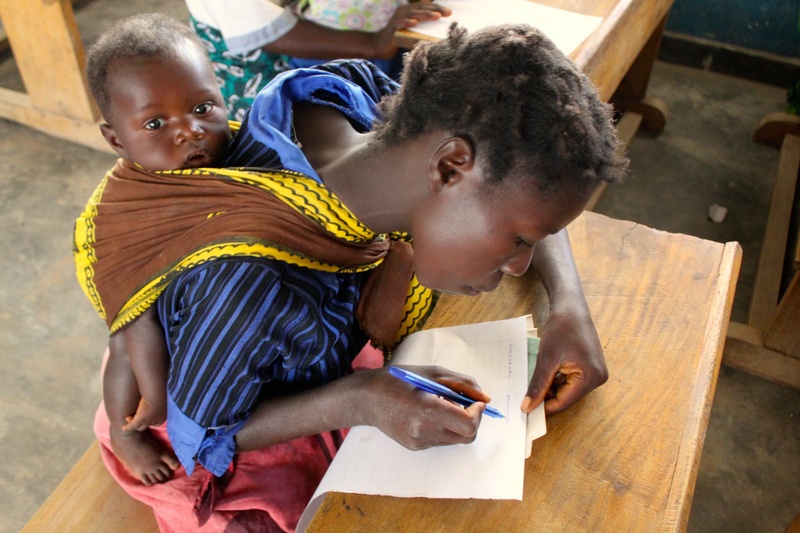 (At top and below) Many women in buildOn’s Adult Literacy Program bring their children with them to class, a reminder of the better life they’re working to attain for their families through education.